Toon resultaten voor tags 'plaidhatgames'. SeaFall is a 4X-inspired game (without player elimination/extermination) set in an "age of sail" world reminiscent of our world. In SeaFall, the world is starting to claw its way out of a dark age and has begun to rediscover seafaring technology. Players take on the role of a mainland empire that consults with a consortium of advisors to discover new islands, explore those islands, develop trade, send out raiding parties, take part in ship-to-ship combat, and more. 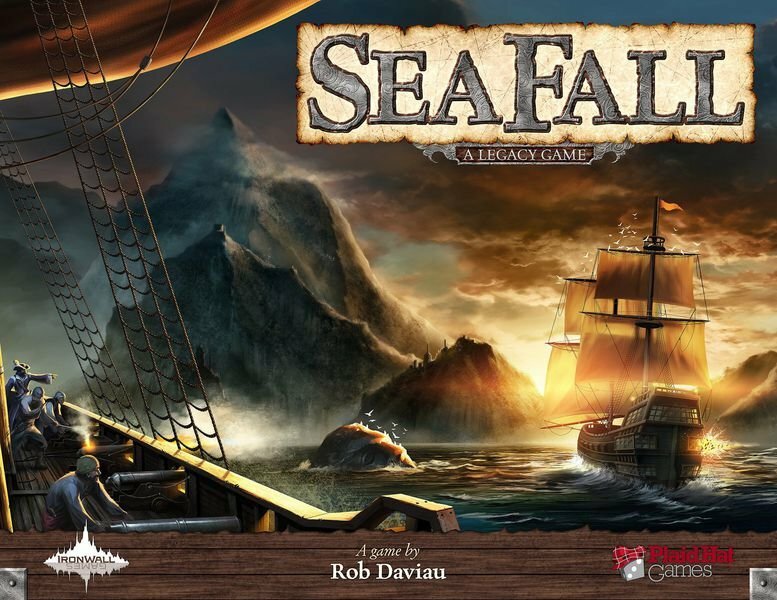 As in Risk Legacy and Pandemic Legacy, co-designed by Rob Daviau, SeaFall evolves as the game is played, setting their grudges into the history of the game and building a different narrative at every table as players open up the world. Due to the complexity of rules interactions in this game, the community (primarily Becq) has created a FAQ called The Captain's Log.